The Olympic Peninsula is home to many ecological wonders. It contains many plant and animal species found nowhere else in the world. It is the best way I have found to get back to nature, and is an easy drive from Seattle. The Olympic Peninsula is home to the largest western red ceder, sitka spruce, coastal douglas fir, alaskan/yellow ceder, western hemlock, and mountain hemlock trees in the world, which can all be found in the hiking trails in the forest near the shores of Lake Quinault. There is an old Native American legend that the creator god once fought a lake monster at Lake Quinault, and the largest trees in the world being found at this place only further illustrate the immense natural beauty and lush Native history that can be found on the olympic peninsula, a one of a kind place. Lake Quinault is accessed by driving towards the ocean from Olympia and taking the turn north towards the natural green wonders instead of going south to touristy Ocean Shores. Lake Quinault also has many hikes including one to an old copper mine. If you drive toward Forks from Lake Quinault, you will pass the Hoh rainforest, a natural temperate rainforest with canopy and tons of beautiful moss covering the trees and a few mile hike. Up on the tip of the peninsula, Cape Flattery trail (www.northolympic.com/capeflatterytrail/ ) is a short 1 mile hike, the northwesternmost tip of the USA. The hike is out on the point. The Makah museum (www.makah.com/mcrchome) near there also houses the ruins of an ancient Native oceanfront village and is recognized as the nation’s finest tribal museum. 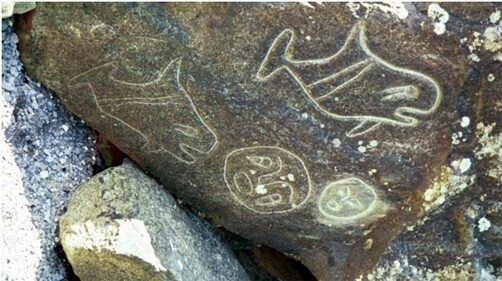 Lake Ozette, if you are looking for a bigger hike, is a 9 mile hike, out to the ocean from near the lake, and the reason to do this is the hundreds of years old indian petroglyphs on the ocean rocks on the beach. These are quite the sight and it is a beautiful hike. East of this, the Sol Duc hot springs (www.visitsolduc.com/ ) near Port Angeles, just past Lake Crescent (worth seeing and hiking itself) are a natural mineral hot spring and there is a resort there at the hot spring. Also, north of Sequim, Dungeness Spit in the Dungeness wildlife refuge, (www.dungeness.com/refuge/) is a 6 mile long hike, out the longest natural sand spit in the USA and home to over 200 species of birds. The drive back down the highway on the side of Hood Canal is scenic, and there are many places to stop and buy fresh shellfish, mainly oysters. Lena lake, near Hoodsport, is a nice 7 mile hike, and there are many mountain and beach hikes alongside the canal as well. There is plenty more to explore in the mountains and forest in the olympic national park, but this camping and hiking road trip route is the way to hike and camp some of the best ecological places in the nation. Happy Travels! Writer Bio: Lars Jensen is a musician and scientific philosophy author with 5 books in the works.